The various neck muscles are often implicated in a great number of cervical pain syndromes. The muscles in the neck may be completely or partially causative or contributory to the symptomatic expression. 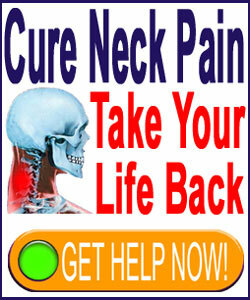 They may also be simply affected by the consequences of some spinal source, such as a pinched nerve in the neck. There is no doubt that muscular pain in the neck is the most common of all chronic issues suffered by patients and is also the most difficult to permanently resolve using traditional medical or complementary medical modalities. Ongoing or recurrent muscular pain may be sourced from purely anatomical reasons, such as considerable trauma, repetitive strain injury, a spinal abnormality or some muscle interaction with a nerve structure. However, it is also possible for muscle pain to come about and hang around due to nonstructural sources as well, such as regional oxygen deprivation or the various soft tissue diagnoses, as in the case of fibromyalgia. This dialog examines the muscles of the cervical spinal region and their role in neck pain conditions. Splenius muscle is a deep tissue which attaches to the base of the skull and runs down near the centerline of the cervical spine. It is involved in providing extension ability to the head and can also facilitate side to side flexion and rotation of the spine in the neck. Levator Scapulae muscle resides on top of the splenius in depth and facilitates lift of the shoulder scapulas as its main function. Scalene muscles consist of 3 separate structures (anterior scalene, middle scalene and posterior scalene) which work together to facilitate relative movement between the cervical bones and the uppermost ribs. They attach to both these structures and run throughout the neck anatomy from surface to deep, on the outer sides of the neck. Trapezius muscle is a major component of the neck anatomy attaching from the occipital to the thoracic spinal bones in a straight line down each side of the vertebral column and then forming bilateral triangles by also attaching to the shoulder scapula. Both sides of the trapezius form a diamond shaped pattern on the upper back and neck. The trapezius is close to the surface of the neck anatomy and helps to depress, rotate and retract the shoulder scapula, as well as help support and balance the arm or each side. Sternocleidomastoid muscle is close to the surface and regulates rotation of the head and parts of the flexion process. This structure attaches to the skull just under the ear and travels to its lower attachments at the sternum and clavicle on the side of the neck. Semispinalis muscle is another grouping of 3 separate structures (semispinalis capitis, semispinalis cervicis, semispinalis dorsi) which facilitate rotation of the upper spine and also the rearward movement of the head and upper back. This is a deep muscle grouping. The muscular anatomy of the neck is both strong and very flexible, since both of these characteristics are crucial to facilitate the extraordinary range of motion the human neck and head enjoys. Being that the head has such heft and is placed atop a thin and relatively light-designed structure which is the neck, the muscles here must be layered intricately and woven to create the structural integrity needed to support this weight throughout its extensive ROM. The neck muscles are also crucial to helping to insulate many vital nerve and vascular structures within the neck, as well. However, in some cases, the muscles can actually be blamed for enacting painful symptoms by compressing these sensitive and life-sustaining structures, such as in the scenario of thoracic outlet syndrome, which occurs within the area known as the brachial plexus. Always take the time to investigate muscular neck pain extensively with your doctor and learn exactly how the structures involved may be responsible for causing or contributing to your symptomatic expression. Remember that if there is no evidence of muscle injury, then the speculation of such often turns out to be an incorrect diagnostic guess, often dooming the patient to extended durations of ineffective treatment which are not even targeting the true source of suffering.